Want to enjoy your weekend, but facing a crash crunch? Now you do not have to wait for making your weekend a happening one. 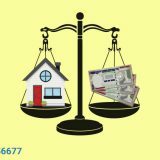 Just take a small cash loan from loanbaba.com and get money immediately in 24 hours. You can borrow any amount from INR 10K to 50K, and easily repay in 90-days time. Here are some awesome ideas to make the most of the weekend with instant cash loan. A pending celebration or birthdays treat? Weekend is the best time to call your friends over for a smashing house party, especially when the New Year fever is still on. 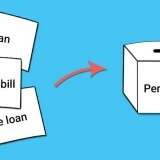 With payday loan, you can organize about everything for a house party or a getaway. Love the forests or the mountains? Receive cash the same day from us. Pack your bag, go meet your friends, and take them out for camping this Saturday and Sunday. After all, nothing can outdo a short vacation on a weekend amidst breathtaking locales. A weekend craft or home-improvement activity can be as interesting as any of the options suggested above. Especially for Do-it-Yourself enthusiasts, being a spendthrift on building a makeshift tent for outdoor home picnics, giving a makeover to the room-walls or fixing windowpanes all by themselves- could be an enticing weekend plan for which small cash loan can come handy as immediate cash support. Want to pamper yourself to a luxurious retreat? Spend some time away at a magnificent hotel or villa. Take a dip in a Jacuzzi and relish the indoors as much as the surrounding exoticism while being free of any financial repercussions. You get enough days to repay the short-term loan, so you can chill out as you like this weekend. Day-tripping could get adventurous alone or with others. Sometimes exploring your immediate locality could mean the best weekend plan. Check out new-inns, restaurants, clubs, picnic spots, tours, concerts happening in your locality to make for a happy outing. 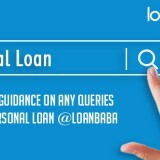 As always, you can bank on loanbaba.com for instant cash loan for all such doings.